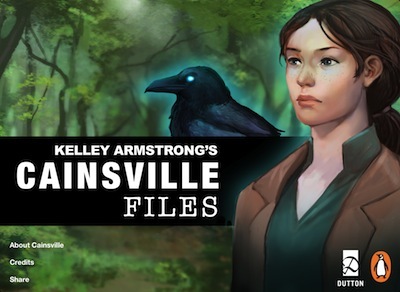 inkle blog - Kelley Armstrong's Cainsville Files! It's been nothing but announcements here at inkle in the last couple of weeks, and here's the latest bit of news: surprise! inkle's latest interactive story, published by Dutton and written by best-selling author Kelley Armstrong, will be hitting the US App Store this Thursday! Kelley Armstrong's Cainsville Files is our latest collaboration with Penguin US (after Poems By Heart, as recently featured in an Apple marketing campaign for education). Written by #1 New York Times bestselling author Kelley Armstrong, Cainsville Files introduces readers to the mysterious town of Cainsville, the setting of Kelley's upcoming book Omens. 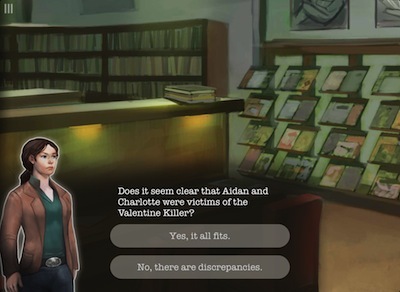 In this unique interactive adventure, the reader guides a down-on-her-heels private eye through her investigation into the disappearance of her high-school sweetheart. 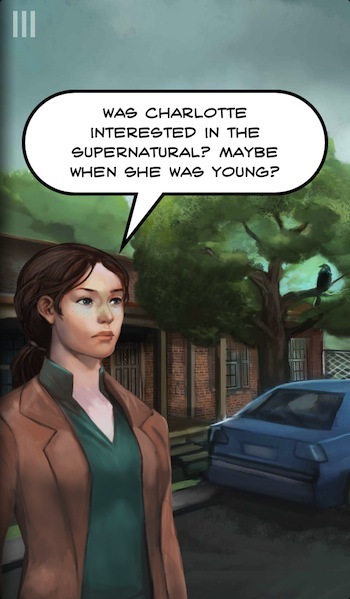 The app is a new style of story for us, that uses a unique "interactive graphic novel" design. Somewhere between a comic-book, a visual novel, and an inklebook, Cainsville Files is probably the most visually rich app we've done yet, thanks to awesome background and character art by digital artist Julie Dillon. And excitingly for us, the story itself was written entirely by Kelley using the online version of inklewriter. Our goal for inklewriter was always to let authors just "get on and write" interactive fiction. And although we've published several interactive works to Kindle using our ebook service, this is the first time time we've taken content all the way from the web front end through to a final released app. The story is novella-length, and feature several branches, alternate paths, and clues to discover (and horrible ways to die): so it really put the software to the test, using all the logic and tracking features inklewriter provides. Now; back to Kharé for us!